For most of last century the world's oil output was controlled by a few Western multinational corporations, despite the fact that much of the product came from the Middle East. In 1960, fed up by their limited voice in the international market, five major oil producing and exporting countries decided to organize to protect their interests and negotiate a better return on their resource. 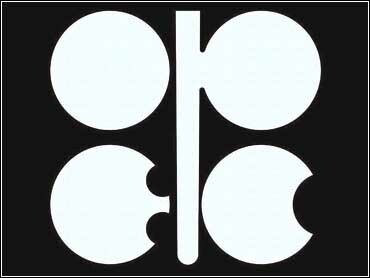 The Organization of Petroleum Exporting Countries was founded in Baghdad by the governments of Iraq, Iran, Kuwait, Saudi Arabia and Venezuela with a goal to unify and manage its members' petroleum regulations. The organization sets policy on research, drilling, pricing, distribution and investment. In 2000, OPEC's 11 countries produced 40 percent of the world's oil. Of all the proven global crude oil reserves, more than 77 percent of it lies under the soil of member nations. Throughout the 1960s, membership ranks grew to include Qatar, Indonesia, Libya, United Arab Emirates and Algeria. Ecuador and Gabon joined in the early '70s but both countries withdrew in the '90s. At its September 2000 meeting in Venezuela, OPEC reaffirmed the principles and objectives of the organization. Read the declaration here. The OPEC Conference of Ministers meets in regular session twice a year at its headquarters in Vienna, Austria and is responsible for the formulation of the general policy of the organization. In its early years, OPEC members made bold moves to acquire greater control of their resources. Some Western companies active in their countries were nationalized and deals were made that allowed the host governments increased management of oil pricing. In 1973, OPEC countries were able to completely wrest pricing controls away from Western companies, after an Arab oil embargo disrupted distribution and triggered panic buying. The resulting "Oil Shock" sent prices soaring, with the cost of a barrel quadrupling to $11.50 by 1974. The second "Oil Shock" came during the 1979 revolution in Iran, which was then the number two oil seller after Saudi Arabia. Responding to fears that supplies may run out, Japanese buyers stocked up, sending the average price of a barrel to near $36. When Iraq invaded Irn the next year, the price of a barrel hit $40  a high mark that was not topped until the 1991 Gulf War. Climbing prices in the early 1980s caused the West to produce more oil on its own, mainly in the North Sea. Fuel-saving concerns and a global recession sent demand way down and an oil glut resulted. By the mid-1980s oversupply grew to the breaking point and prices collapsed to less than $9 a barrel. Since the unstable 1980s, OPEC has experimented with a variety of pricing structures and production quotas to help keep costs stable. Most recently, output was raised last March in a failed bid to cool overheated markets. Further output increases later in the year didn't do much to stem the rally and barrel prices hit a decade-high $35. In January 2001,OPEC decides to cut production by one-fifth, despite concerns by the U.S. and Europe that such a move won't bode well for the Western economy.